If you're fans of K-Ci & JoJo, you'll be delighted to see that the brothers are making new music again. They released a new single, titled "Knock It Off," about three weeks ago, and on Thursday they dropped the music video for the song. "Knock It Off" is a good re-introduction for K-Ci & JoJo onto the music scene. The song has an uptempo, two-step-worthy beat, and sounds like the kind of tune that will get played often on adult contemporary/R&B stations. The video is in black-and-white, set in a 1920s era (or some period close to it), seemingly to convey that K-Ci & JoJo make timeless music. It's the first single from their forthcoming album, My Brother's Keeper, which is scheduled to be released on September 24. It will be their first new studio album since 2002. Yes, it's hard to be that it's been more than a decade since the brothers from Monroe, who at times have lived in Charlotte, have released a new album. During their absence from the new-releases shelves, their record labels have put out several greatest hits and compilations of their work, taking advantage of the fact that many people love their ballads, such as "Crazy" and the undeniable wedding anthems "All My Life" and "This Very Moment." And I'm not even going to get into the legacy they created as one-half of the 1990s chart-topping R&B group Jodeci. While K-Ci & JoJo have continued to tour here and there over the years, the reason you haven't gotten much new music from them during the past decade (in case you didn't know) is because of the well-documented substance abuse issues they've had. I thought things were finally about to turn around for them in 2010 when I interviewed them for a Creative Loafing article published that October, a week before the premiere of their reality TV show, K-Ci & JoJo...Come Clean. In addition to talking about their new show, they told me about where they were in their lives and careers. After the show debuted on TV One, I was one of the fans who watched each week as they showcased their struggles with alcohol and drugs, addressed problems with their families and within their personal lives, and tried to convince music executives that they were getting their act together. But no new, officially released music came for nearly three years, until now. 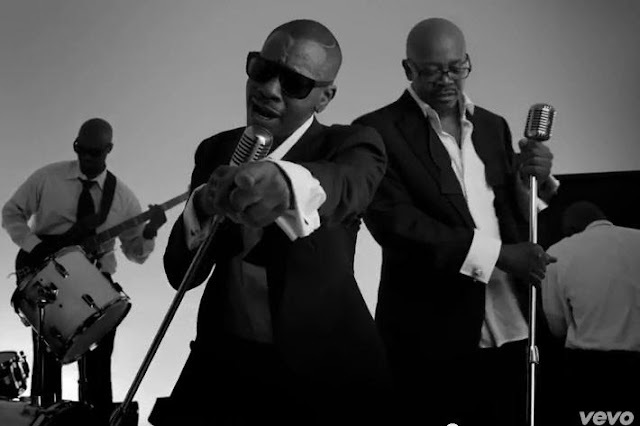 K-Ci & JoJo seem to still have their great voices; let's just hope they have their health and sobriety. As with many legendary musicians that have taken a lot of time away from what made them adored by millions of fans, they're going to have to work hard to recapture the audiences who grew up with them--fans will always want to hear K-Ci & JoJo's classics, but will they want to hear the new stuff? And they'll need to capture the attention of the younger audience who probably have danced to one of their songs at a wedding, but don't actually know much about them.